We are the largest supplier of conical-shaped plastic film packaging in the Western Hemisphere. We also have the most comprehensive stock standard packaging program for plants & flowers available in North America for immediate shipment from our four US Service Center locations. We are dedicated to introducing innovative packaging products to the horticultural, produce, herb, candy and snack food industries in addition to other specialty markets. This vision includes being the absolute best at providing personalized service to our Customers. Service is an A-ROO Company hallmark and we pride ourselves in providing truly personalized customer service. Our experienced Sales team is the industry’s most knowledgeable, friendly and motivated group. We are poised to serve your every need. No business captures the true essence of customer service, quality and value quite the way we do. The goal of providing and being the ‘Best-of-the-Best’ is reflected in our products and the services we present to our customers. We distribute many unique packaging items and accessory products in addition to those we manufacture. As the exclusive distributor in both North and South America for many highly talented international manufacturers, we truly are a global provider of the very best in packaging. Founded by Robert Gilbert in 1968, A-ROO Company has become the largest supplier of conical-shaped packaging to the floral and food industries. From the beginning, our vision has been to introduce innovative packaging products to the Horticultural, Produce, Herb, Candy and Snack Food industries in addition to other specialty markets. This vision includes being the absolute best at providing direct personalized service to our Customers. Scott Gilbert is the son of the founder and current President and CEO. He has continued that vision, direction and commitment into the twenty-first century. 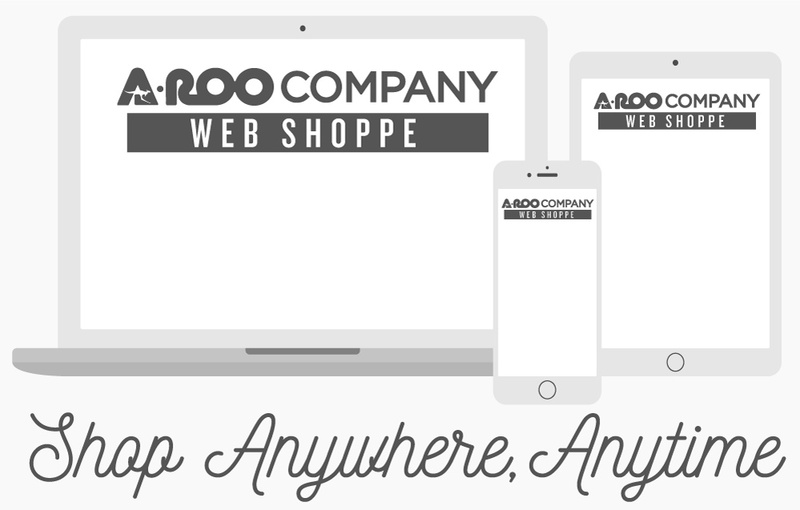 A-ROO Company now distributes and manufactures many other unique packaging items and related products. As the exclusive distributor in both North and South America for many highly talented international manufacturers, we truly are a global provider of the very 'Best-of-the-Best' in packaging. We are now offering a number of the newest environmentally friendly materials in order to minimize the impact our Customer’s packaging has on our planet. The 'A-ROO difference' is measurable and multidimensional. Among the many things that have set us apart from others is our commitment, passion and drive to be the very 'Best-of-the-Best' in innovative packaging products. We are committed to providing packaging that truly makes a difference for our customers. As an example, we are the only Floral and Produce Film packaging company to be a Co-Brand License Partner of Ingeo® and Cargill’s Natureworks®. These unique co-branding agreements and our manufacturing location’s close proximity to the film sources allows our Customers to enjoy the best possible pricing and the ability to utilize the brand recognition of Ingeo® EarthFirst® and Natureworks®. Another 'A-ROO Difference' comes from our commitment to finding ways of reducing the impact of our products on our environment. Reducing environmental impact on our earth through our production processes and in the end product we provide have our highest regard and priority. This environmental commitment has an impact on the most extensive range of standard and ready to ship film packaging in the Floral industry which includes many plain and unprinted packages – big and small, for a wide variety of Floral applications ranging from Pot Plants to Fresh Flowers and virtually everything in between. This carries with it a responsibility and a tremendous opportunity. We are the very first Floral packaging company to commit to imprinting all of our Stock Standard Products with proper recycling information – at no extra cost to our Customers. This is an act of responsibility that is part of the 'A-ROO difference' that all of us and our customers can embrace. This allows all users or consumers to know exactly how to properly dispose of the package for the purpose of recycling. An otherwise plain and unprinted package carrying this important identifier on it can reduce the impact on our environment by over 4,000,000 pounds of plastic per year. Without this identifier – the opportunity is lost. Our business model includes a strong belief in personal contact and service. We are dedicated to continually observing, listening and seeking new means of packaging that make a difference in enhancing our Customer’s success. We search the entire planet for the newest material compositions and fashions that can bring value to our Customers and their products. We believe in and practice fair and honest business. We firmly believe that all of our relationships are special and deserving of our attention, care and appreciation. This is the Company that we are, and the one you can expect.